Check out news about MACC, our members and important industry news relevant to the missions and day-to-day operations of those we serve. At last year's Member Summit members brought a focus on their often challenging contracting relationships with their county partners. Members wanted to explore how our network could work as partners to build relationships that work for EVERYONE involved, ensure our work is sustainable, and make our communities stronger. 1. What are the challenges we share? 2. What’s working well right now? What are the ‘bright spots’? 3. What work could we do together? What are the opportunities? We want to reflect back and share the learnings members brought forward. In this harvest document you'll find a quick overview page, full synthesized notes from both dialogues, and photos of the live visual harvest from each convening. Consultant report: our consultant Cheryl Jensen is compiling a report that pulls together our network learnings and additional research and outlines a recommended strategy for our next actions. If you'd like to learn more contact Laurel Hansen, Program Manager laurel.hansen@macc-mn.org. Since MACC's member Summit we've been exploring what it could look like to engage with health care and explore the potential for partnership to address the social determinants of health. Driven by member vision and interest MACC is bringing together health care partners and members and members for small, exploratory conversations. On Dec. 4th we gathered a small group of MACC leaders and partners from Allina, Children's Minnesota, HCMC, and the Mpls Health Department to talk about partnership. For a quick summary of what we talked about - check out the Visual Harvest and Key Themes from the conversation. The social determinants of health are the conditions or factors in the places where people live, work, learn, and plan that affect their health outcomes - positively or negatively. These are big issues that no single agency or organization or even system can tackle alone. They require collaboration. MACC wanted to start the conversation talking about partnership itself. What brings each of us to the table to talk about this work? What do we bring to the table? What unique knowledge, expertise, connections, assets do we have that are valuable. We also wanted to uncover what's worked in past collaborations with health care, and what hasn't. The group shared about the bridges that can help bring people together across difference. How ideas, need, resources, and timing can all converge to prime a moment for collaboration. How transparency, asking questions, listening with open ears (and minds! ), and taking time to meet face to face are all critical factors that can create powerful partnerships. On the opposing side - the group talked about the barriers that block successful partnership. How having immutable or incongruent values can mean you can never quite fully align. How energy and focus can flag on projects where working together means a longer time horizon. How having too few, or too many people at the table can unbalance projects. And how funding for sustainable change is always a challenge. Lastly the group talked through what needs to be in place for collaborations to be successful. They shared the importance of conflict. Conflict is okay - expect there to be some, and put in a clear, fair mechanism to resolve it. Make sure leadership is balanced. Understand the power dynamics you're working in, and look for ways to adjust them. And finally - trust the process. It's definitely not going to be easy, sunny, and bright the whole time. You need to trust the people at the table, trust yourself to ask the right questions, and trust that you're making progress. As long as you have a shared vision you're working toward - even if it feels like baby steps - you are still going in the right direction! The last week of October we hosted two member dialogues to connect around employee insurance benefits. Kind of a nitty gritty type topic - but with Open Enrollment season in full swing - this was a chance for members to hear from experts, both internal and external, and talk with fellow members about what options nonprofits have. Throughout the fall we've been working to connect our network to information and resources on employee benefits. We've been connecting members with new collaborative benefits opportunities - we've had 8 new members organizations request quotes for new benefits options for their employees! And we've been connecting members with information - helping answer tough questions, sort through the confusion, and help members make smart choices. MACC's shared scale gives us extra buying power in the insurance marketplace and enables us to reach out to and work with providers in a way that is challenging for individual organizations. MCN's "BenefitsMN" Association Health Plan (AHP): Representatives from Gallagher (MCN's partner) and MCN shared about their progress so far (Medica selected as the provider), and the challenges they're facing (no rates yet, or date for plan release). Important to note: Did you know you can make a mid-year change in plans? The new plan won't be ready for enrollment in 2018 BUT your organization is not locked into your current plan all the way until the next Open Enrollment window! We'll continue to provide updates as we think this could be an interesting new option in the medical insurance marketplace. MACC Shared Insurance Benefits: Representatives from USI (MACC's partner) shared about their long relationship with MACC, how MACC's shared scale has made the partnership beneficial for both sides, and about the kinds of benefits they're able to offer. If you want to learn more - take a look at USI's presentation that goes more in depth about their Vision, Dental, Life, and Disability benefits. There's still time to enroll. If you'd like to learn more about the additional benefits your organization can access through MACC - or if you want to compare prices - reach out! We're always happy to have a conversation. If you have any questions or want to learn more about the topics above please don't hesitate to chat with us! Contact Amanda Golly at Amanda.Golly@macc-mn.org or 612-341-1637. On November 1st MACC had the opportunity to share what we've been learning as our network explores partnerships with health care at a breakfast hosted by the Performance Excellence Network (PEN). At our 2018 Summit members started the conversation about engaging the health care system as partners and fellow leaders in improving community health. MACC has been working to continue and deepen that conversation through member interviews, a set of focus groups, and some initial, exploratory conversations with Allina health. And how we engage with already complex systems, on complex issues, without getting buried under all that complexity. The discussion included a broad mix of health care providers, payers, and community organizations. If you're interested in learning more about both what MACC has learned, and more about the perspective of health care providers on potential collaborations - you can watch a recording of the full breakfast. (content starts at 34:00m mark): watch video. If you want to learn more about MACC's initiative on health care partnerships we're always happy to talk! Contact Shane Miller: Shane.Miller@macc-mn.org, 612-341-1658. One of the key benefits of MACC membership is the ability to leverage our collective scale for increased buying power in the marketplace. Employee benefits represent the most volatile costs for any organization. This volatility is especially challenging for nonprofit employers. We face rising costs, uncertainty around the Affordable Care Act, a hyper-competitive labor market, and added to all that - increasing funding uncertainty. Strategy 1: We’re exploring member interest in leveraging the economies of scale our shared HR service has developed to extend some existing non-medical benefits to all members (Dental, Vision, Voluntary Life Insurance, Disability, etc.). This means the potential for individual organizations to be able to offer more benefits to their employees, while creating cost savings for our network as a whole. Strategy 2: We’re exploring the potential of medical group purchasing (such as “Association Health Plans” (AHP) or “Multiple Employer Welfare Arrangements” (MEWA)) as a strategy to mitigate rising volatility and costs in the health insurance marketplace. We've been working collaboratively to share information and resources with and learn from other organizations that are pursuing similar strategies including MCN, NIT, and the Alliance for Strong Families and Communities. This is a challenge facing the entire nonprofit sector - it's critical that we work together as a sector to design the best solution! We'll be reaching out to each of our members shortly and conducting a survey to understand the interest and capacity within the network for pursuing these collaborative strategies. If you have questions or would like more information on either of the strategies please feel free to reach out to Amanda Golly, our Vice President of Human Resources Services. MACC's member-created Social Enterprise Network is a powerful collaborative platform of shared resources, expertise, and learning. The goal is to create a Social Enterprise development ecosystem as a path for our members to invest in their financial sustainability and create economic opportunity in their communities. One of the ways we support member social enterprises is through small grants. MACC is excited to announce that 4 organizations have been selected to receive $25,000 grants this July. Neighborhood house: Neighborhood House is developing a "coffee and concierge" product and service enterprise. The enterprise will be located in downtown St. Paul. They've developed a creative concept that serves St. Paul businesses, connects them to the community, and creates workforce development opportunities for their participants. LDA Minnesota: LDA has developed a "Center for Teacher Certification" enterprise that helps address the teacher shortage in the learning disability community and has the potential to generate revenue for their organization. It's an innovative approach to educational development for educators and for people with disabilities and their families. Hope 4 Youth: In 2018 Hope 4 Youth launched their resale shop, Hope's Closet. The enterprise is an upscale, donor and volunteer supported resale boutique. The enterprise also plans to create workforce training experiences for youth impacted by homelessness through a partnership with Anoka County. FamilyWise: FamilyWise created a new, innovative, Supervised Parenting Enterprise. Supervised Parenting provides facilitated, secure, structured, space to allow families to rebuild and strengthen relationships in a safe, confidential and observed environment. The enterprise creates a better, more cost effective way to provide family and foster visitation experiences that best serve the families. We're excited to see these enterprises grow and thrive! On Tuesday, June 5th Susan Dreyfus, CEO of the Alliance for Strong Families and Communities joined members for breakfast to talk about the disruptive forces challenging our sector and how we can collectively can meet them. Our organizations have faced disruption before but the current pace and magnitude of change is unprecedented. On Tuesday we continued the conversation on the Alliance's report and how we can use it as a tool to understand how to continue to thrive in an environment constantly disrupted by change. Susan shared the findings in the report that continue to keep her up at night. She talked about our sector's struggle to keep pace with the changes around us. Organizations are increasingly vulnerable - finding themselves suddenly and surprisingly one contract or funding change away from struggling to make payroll. As individual organizations it's hard to find the capacity for the innovation necessary to get ahead of the changes around us. "The nonprofit sector lags 10 years behind other sectors for innovation. Due to capital constrictions nonprofits can't be as innovative - we let change pass us by and all of the sudden the funding isn't there or someone else has taken up the space." Susan said. That's why, she said, networks like MACC - platforms for organizations to work on issues collaboratively - are critical. The group also dove deep into how the report can substantively inform two of the major work streams MACC is exploring post Member Summit: developing essential partnerships with healthcare, and regulatory modernization through work with government funders. The group discussed the tremendous disruptive power of the health care industry. "Health care is your biggest disruptive force in this decade and the next. And it's your greatest opportunity." Susan said. As providers shift focus to community health outcomes and Values Based Purchasing nonprofits need to be at the table positioning ourselves as critical partners and collaborative solution providers. There is a lot MACC can learn from organizations in the national Alliance network that have successfully started this work. As we wrapped up the morning members discussed the opportunity for MACC to engage government funders. Susan called on us to shift what often feels like an adversarial relationship to a partnership relationship. Several members shared that they are already starting to see positive changes with certain county leaders. There is space opening up for conversation - and MACC is uniquely poised to take advantage. It was an energizing conversation and we're excited to see where this work takes us! Changes proposed in the 2018 Farm Bill to SNAP (the Supplemental Nutrition Assistance Program) threaten increased food insecurity at time when visits to MN Food Shelves are at an historic high. Despite low unemployment, demand at food shelves is increasing. Last year Minnesotans visited food shelves a record 3.4 million times. MACC member 360 communities, featured in this Star Tribune article, saw their yearly food shelf visits climb by 12%. This trend is especially troubling as changes to the SNAP program proposed in the 2018 Farm Bill stand to exacerbate this trend. Food Shelves like Second Harvest Heartland another MACC member, featured in this Fox 9 News spot, could potentially see demand for their services double. Almost 1/3 of MACC members provide emergency food Services. As nonprofits and our clients are continually asked to do more with less - these proposed changes are creating a lot of anxiety. Learn more about the SNAP program with this quick fact sheet or take a deeper dive with this powerful storytelling and advocacy collaboration between Second Harvest Heartland and Pollen: Neighbors in Need, The Faces of the Hunger Epidemic in Minnesota. 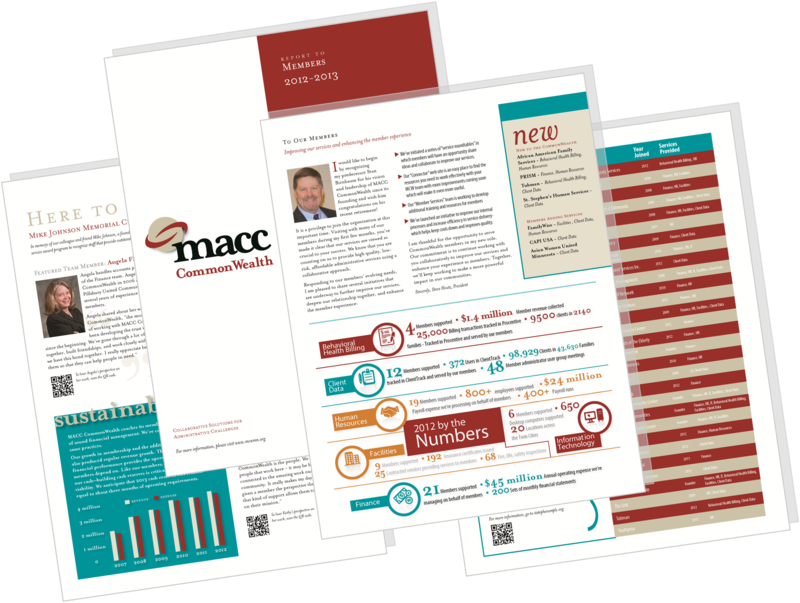 MACC is getting ready to produce its Annual Report to Members. Our annual report is a great opportunity to take a look at this unique network and tell the story of who we are and what we've accomplished. Ahead of that we wanted to share just a quick snapshot of some of the numbers that help tell that story. We pulled this data together ahead of our MACC Member Summit - and it's pretty cool to see! Check out the snapshot below and see more of the data on the MACC network that we showcased at the Member Summit here! What kind of work do MACC members do? What kind of footprint does the network have in Minnesota's economy? What's the geographic reach of the network? How many people is our network able to serve? Wow - the Social Enterprise Symposium was an inspiring and energizing day of powerful learning! The Symposium brought together nonprofit leaders and entrepreneurs from all different corners of the community. How you can build hope in others: building up hope in others can be an easy, simple, every day practice - and doing it can actually help give you hope too! We heard an impassioned address from St. Paul Mayor Melvin Carter III got the audience fired up as he shared his inspiring vision for the future of his city. We also heard from a panel of local social enterprise thought leaders as they answered questions from the audience. And thank you to Northwest Area Foundation for supporting MACC's Social Enterprise Initiative and making it possible for us to create events like this! Download a blank copy of Ari's 12 Natural Laws of Business workbook from yesterday. A brief reminder about each of the 12 natural laws in case you're human and can't remember everything Ari said about each law. On Tuesday, January 30th MACC convened its first-ever, Member Summit to build deeper connections and embrace the potential of courageous collaboration. Throughout the day we worked together to build a shared understanding of what courageous collaboration looks like for this network and how that informs our work. Starting January 1, 2018 two big changes will go into effect for workers making minimum wage. On January First the minimum wage increases go into effect for both the City of Minneapolis and the State of Minnesota. Changes in the minimum wage have big impacts in the community – but they also impact employers. The City of Minneapolis adopted a minimum wage ordinance in 2017 which will eventually raise the standard minimum wage for workers within the city limits to $15.00 / hour. The new minimum wage is being phased in over a period of several years. Different phase-in schedules apply to employers with 100 or more workers vs. smaller employers. The first step in the phase in schedule boosts the minimum for workers at large employers to $10.00 / hour on January 1st. Further information can be found on the city’s web site: Minneapolis minimum wage. Both changes require employers to update the mandatory labor law posters required to be on display at each work location. Click here for a summary of what needs to be posted where! Fortunately there are some easy practices that will help keep your information safe and secure. Many people have a pattern to their passwords to make them easier to remember. For instance, “FidoDog3” becomes “FidoDog4”, “FidoDog5”, etc. Hackers know this and if they get a hold of an old password, they can try different versions to guess your current password. Make sure to come up with truly new passwords every time. Every site, every system has a different password and as soon as you get it all figured out – you have to update! You can use to help is a password manager to generate secure passwords and help you manage them easily. Some can even auto-fill your password on websites! Click here for a 2017 guide to free password managers. As always, be sensitive to anything that does not “look right” with any secured systems. Keep a watchful eye, and when in doubt change your password using the guidelines above. In September member social entrepreneurs kicked off the first of 10 deep-dive sessions with MACC’s Social Enterprise Cohort. The Cohort, part of MACC’s social enterprise initiative supported by the Northwest Area Foundation, builds member capacity step by step to help organizations go from business idea to business launch. MACC’s cohort model combines the power of a peer learning network with a comprehensive learning and business development program. The model uses deep dive sessions to deliver a social enterprise curriculum that provides members with the knowledge and tools to develop a social enterprise from the ground up. The cohort creates the space for members to engage in discussion and peer learning with other nonprofit social entrepreneurs as well as access the knowledge and experience of subject matter experts. The ultimate goal is provide members the opportunity to develop & test a strategic business concept and plan. To learn more about the SE Cohort or MACC Social Enterprise initiative contact Laurel Hansen, MACC Social Enterprise Manager, at 612-230-5731 or Laurel.Hansen@macc-mn.org. "Community Involvement Programs is truly grateful to be joining MACC's inaugural Social Enterprise Cohort! We are incredibly excited about exploring the possibilities of starting a social enterprise in order to diversify our funding and broaden our impact for people who have disabilities. A huge thank you to MACC for investing in its members and our community for this important work. The resources, tools, and connections the Social Enterprise Cohort will provide is invaluable. Looking forward to a wonderful year of learning!" On July 27th MACC hosted a workshop for members on how to generate social enterprise ideas. For social enterprises there’s a special sweet spot – a place where passion, talent, market, and cause overlap. When organizations find that spot, that’s where social enterprise ideas can really start to take off. The challenge is, that spot is different for every organization. Members who attended the workshop were guided through a workbook and exercises to help them hone in on their own sweet spot. Participants worked together to help each other narrow their focus and start to generate ideas for social enterprises that could fit with their organization. Member left the workshop with new social enterprise ideas and a clear, targeted direction to guide their work. As part of MACC’s social enterprise initiative MACC offers technical and financial support to members as they take the next steps to work together on business planning and testing. To learn more about MACC’s social enterprise initiative contact Laurel Hansen. One June 27th MACC hosted a panel discussion on social enterprise funding at The Food Building in NE Minneapolis. The 6 person panel was made up of a diverse group of successful social entrepreneurs, business experts, and funders. Panelists discussed with attendees their personal experiences and what they’ve learned working in the social enterprise field. The group talked about the pros and cons of different funding models such as impact investing. Impact investors invest in social enterprises for a return on dividends both financial (modest), and social. The panelists talked about several of the local Minnesota foundations currently working in the impact arena such as the Northwest Area Foundation, Bush Foundation, and McKnight Foundation. Lastly the panel also revealed what it feels like to fail. The panelists recommend that social entrepreneurs fail often and fail fast. Social entrepreneurs need some risk tolerance – failing comes with the field. It’s important to be able to learn from those failures and pivot to find new opportunities along the journey. On Tuesday, June 6th the Minneapolis City Council released a draft of the proposed ordinance to raise the minimum wage in the city to $15. With Governor Mark Dayton's veto of the labor standards bill preempting local governments' ability to set wage and benefit levels higher than state law, the Minneapolis ordinance looks set to pass. The proposal released Tuesday is a draft and still needs a public hearing and a final council vote. Businesses, organizations, and members of the public still have the opportunity to give their input. The city council is holding a public hearing on the proposal Thursday, June 22 3:30 p.m. Comments can also be submitted by email to MinWage@minneapolismn.gov to be included in the public hearing record until June 22nd. The final vote on whether to adopt the ordinance is scheduled for Friday, June 30th. The current proposal gives businesses five years to reach the $15 per hour minimum. Businesses with more than 100 employees however must boost wages more quickly. The proposal also includes a 'training wage' exemption for youth employees. (85% of minimum for first 90 days of employment, 100% of minimum thereafter). You can view the full draft proposal here. If passed Minneapolis would join New York, Seattle, San Francisco, and Washington, D.C as the few cities that have passed similar measures. There is still debate among the council on several pieces of the proposal, most notably the phase in schedule, and how quickly different sized businesses will be required to comply. The City of Minneapolis has more information on their webpage. Minneapolis and St. Paul have adopted local ordinances requiring employers operating within the city limits to provide paid time off to all employees in the form of “earned sick and safe time” (ESST). The ordinances are scheduled to go into effect on July 1. The new requirement is satisfied by qualifying PTO or Vacation/Sick time plans offered to employees. For employees included in one of these plans, no changes are required. However, many organizations have at least some paid interns, on-call or temporary employees who currently don’t receive any form of paid leave time. Organizations with such employees will need to make changes to comply with the new ordinances. One option is to include temporary employees in existing PTO or vacation/sick time plans. However, these plans are more generous than what’s required by the ordinances, so it will generally be more cost‑effective for organizations to establish separate ESST plans. The basic requirement of both ordinances is that employers must grant one hour of ESST time for every 30 hours worked by an employee. The time may be used to care for the employee’s own health or that of a family member, or to address issues caused by domestic violence, sexual harassment or stalking. Unused hours do not need to be paid out when an employee terminates. For organizations that subscribe to MACC’s HR service, the HR team will work with leadership to establish and communicate the new plans and administer them going forward. Other MACC members should work with their HR department or payroll/timekeeping system provider to set up the mechanisms to administer these new plans. Both Minneapolis and St. Paul provide information for employers and employees on their web sites. There are two legal challenges that could block the implementation of these requirements, but MACC believes it’s prudent for employers to get ready to comply. Email Phishing Scams Increasingly Sophisticated - What Can You Do? Topic: Typically, a scam e-mail will ask you to do something you don’t normally do, or are not expecting to do. Were you expecting to receive a Google Doc invite from someone? Do you have a normal procedure where someone can request a funds transfer by e-mail (hopefully not)? Clever scammers can pose as someone you know. If it seems like an odd request, be alert and call the sender by phone to confirm what they are asking. DO NOT REPLY TO SCAM E-MAIL MESSAGES. That confirms the sender has hit their target – and will probably continue to target you. From and cc’d e-mail addresses: Check the sender's email address closely. Scammers often use email addresses that mimic legitimate email addresses. We've seen a few scams attempts at MACC that come from domains similar to our macc-mn.org domain name: mcvvmn.org and macc-min.org. If the message strikes you as a bit odd, look closely at the sender's email address and anyone cc’d on the email. Links: If you are receiving an e-mail with a web link in it, hover over the link before clicking it – to see where it’s going to send you. If it doesn’t look familiar, or if it has an odd, anonymous domain name in it, don’t click it and delete the message. There are some innovative scammers out there. We can't prevent everything, but our actions as users can stop scammers from succeeding. Thanks for your vigilance! Exciting things are happening with MACC’s Social Enterprise Development Network (SEDN). This March MACC selected the recipients for its first three seed grants to members. This first grant series was targeted at organizations with existing social enterprises to make technical improvements to expand or improve their social enterprise operations. MACC awarded seed grants to: Keystone Community Service’s Express Bikes enterprise, PRISM’s Shop for Change enterprise, and NEON’s Business Incubator enterprise. Later this year MACC will announce a request for proposals for a second round of grants – this time targeted at organizations without existing enterprises that are preparing to develop or launch an enterprise. To offer additional support to members looking to develop and launch new enterprises MACC will also be creating a member entrepreneurship development cohort. The cohort will be a small group of entrepreneurs who will go through their development process together with support from MACC and MACC expertise. Also In March MACC welcomed Laurel Hansen as our new Social Enterprise Manager. Laurel comes to MACC with over 30 years of experience in social enterprise as a business director and consultant. If social enterprise is on your radar or you’re curious about the resources the SEDN offers we encourage you to reach out to her! In early 2017 MACC welcomed four new organizations as members. In early 2017, CIP joined MACC with a driving interest to develop more relationships with other community-based nonprofits. CIP's mission is that as listeners, learners, and leaders, they stand with and support people who have disabilities in their communities as they pursue their personal dreams and goals. In early 2017, Better Futures Minnesota joined MACC and are engaging quickly in our Client Data service. Better Futures Minnesota's mission is to fuel and guide their participating men’s desire to turn their lives around and walk a new path toward better health and success. This spring, 360 Communities joined MACC and is engaging quickly in our Client Data service. Their mission is to care for their neighbors, provide hope and support to people by engaging communities to prevent violence, ensure school success and promote long-term self-sufficiency. This spring, Women of Nations joined MACC and is engaging quickly in our Behavioral Health Billing service. They provide culturally specific emergency services and support to all who have experienced trauma and domestic, sexual, and dating violence, and empower Native American communities to put an end to all forms of violence through education and prevention. We're excited to have these amazing organizations as partners! W e've been working on something big. We've got a new look and a new brand. Our brand gets to the heart of who we are and who we hope to become. Our journey began with a group of nonprofits who came together in a time of uncertainty because they knew they were stronger together. Today we continue that journey. There's a lot of work on the road ahead but we know that together we can find the bold solutions to transform the way we do good. We know we're better together. We are courageously collaborative. 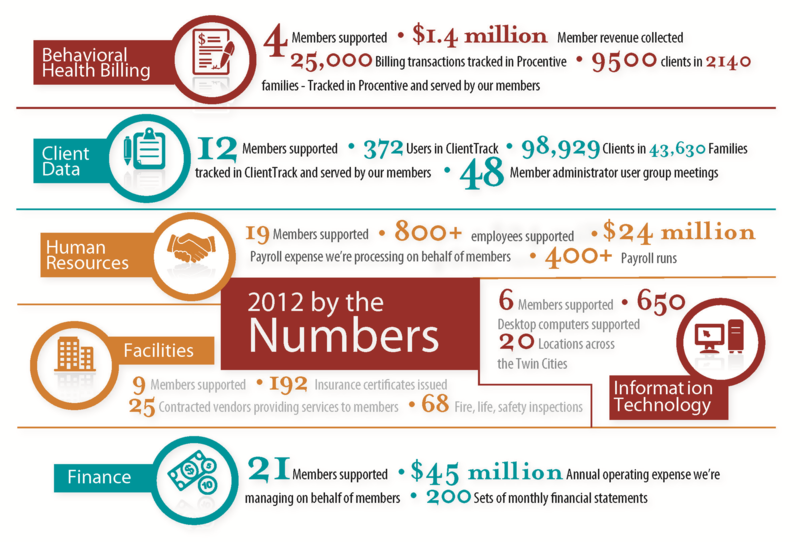 Our annual Report to Members shows the road we've traveled so far. Our new website gives you a picture of the road that lies ahead. We're not done yet, we know that true collaboration takes courage. We're excited about what's ahead and ready to get to work... together. MACC exists because our member organizations are working together to create something unique. Our annual Report to Members is chance to look back at that work and what we accomplished over the past year. In an increasingly data driven world it's important to look at not only the numbers - but the stories and effort behind those numbers. Our report blends the two together. As we reflect back we are grateful for and energized by the continued partnership of our members. Join us for a look at the road we traveled in 2016. MACC’s Annual Meeting and Celebration last Thursday was a chance to celebrate our unique and powerful network. Together we’ve built a one of kind network of nonprofits courageously exploring ways to transform the way we do good. Provided more than 7,691,700 lbs of food to more than 29,000 families - that’s more than ten 747 airplanes worth of food! At the event we also looked forward to the year ahead and the roll out of MACC’s new brand strategy. We've got work to do to live into our potential as a collaborative network and over the next year and that work can’t happen without our members. 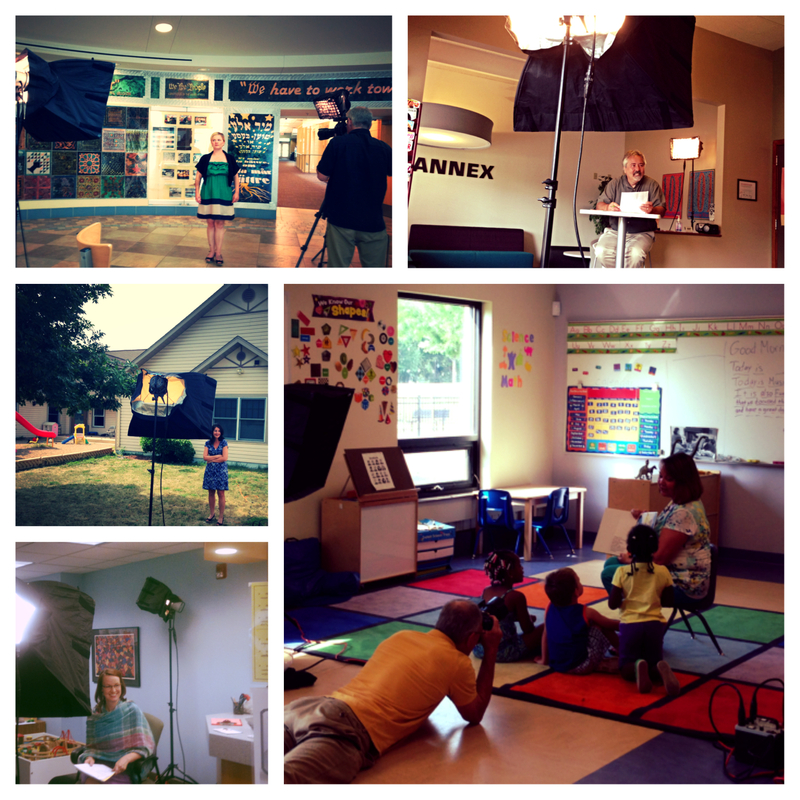 We believe our brand story will provide momentum for our collective work and we’re excited to share that story. We're excited for everything 2017 will bring! organizations who help their organizations get the most out of ClientTrack) to build the capacity of this cohort through training and development designed around member needs. When the Agency Administrators expressed a desire to “level-up” their excel skills to be able to better report on their data MACC's team built a 3 part training series focused on use functions, pivot tables, and data visualization. Using examples of data that members regularly collect the team led the Agency Administrators through guided exercises to demonstrate a range of useful tips and tricks specifically tailored for the type of reporting their organizations were most likely to encounter. The Client Data team is excited to continue refining the training curriculum and to provide additional training in the future! For more info about Client Track or the Client Data team click here. ask and answer critical, challenging questions around equity and inclusion. The day started off with keynote speaker James Burroughs II, Chief Equity and Inclusion Officer for the State of Minnesota. He spoke about what Equity and Inclusion mean to him on both a personal and professional level. He shared the work the State is doing to address some of the challenges and barriers facing Minnesotans of color and during a Q&A dialogue with participants about how their organizations can partner with the State. Following the keynote was a panel of local leaders who all had personal experience leading change efforts around equity and inclusion at their organization. The panel included: Shelly Carthen Watson (U of M), Dr. Arnoldo Curiel (YWCA), Senator Scott Dibble (MN Senate), Jennifer Ford Reedy (Bush Foundation), and Rev. John D. F. Nelson (Gethsemane Lutheran Church). Each leader shared what it looks like to implement these kinds of efforts at an organizational level. They shared the successes they’ve had and also the challenges they’ve had to overcome in bringing the strategic imperative of equity and inclusion work to life. The Forum was a chance for participants to talk with each other, to share their perspectives and experiences. Participants engaged each other to understand the full impact of bias on our organizations and our communities. These conversations gave participants a unique window into bias, what it costs us, and how we can move beyond our biases and assumptions. Check out the learnings they shared. MACC is excited by the energy our members share for this work and we’re looking forward to continuing to talk about what we can do together! Check out the Resources Page from the Forum for tools, articles, and upcoming events to continue the learning. As part of this year’s Aramark ABC (Aramark Building Community) Day, more than 100 Aramark employees volunteered their time and talents at Pillsbury United Communities’ Camden Neighborhood Center to inspire families to make healthy food, nutrition and lifestyle choices. MACC has had a longstanding partnership with Aramark as part of our engagement in the Alliance for Strong Families and Communities. On ABC Day, volunteers at Camden Neighborhood Center conducted healthy cooking demos and food sampling, provided nutrition workshops, revitalized the senior center building and outdoor space, and enhanced the center’s garden. Ahead of the Equity and Inclusion Forum next week we chatted with Keynote speaker James Burroughs II, Chief Equity and Inclusion officer for the State of Minnesota. James lives equity and inclusion in similar ways both in his personal life and through his work. James acknowledged the challenges around equity and inclusion work but noted that the approach you take can make all the difference. “For me my first step is always to listen. It’s always to create an environment where I get different voices at the table. So the first thing is listening, the second thing is bringing it together to synthesize the strategies around the work (and bring it back to the communities), the third thing is to develop measurements of success. We're excited to hear more from James at his Keynote address! If you're interested in attending the Equity and Inclusion Forum please visit our event website to learn more and register! On ABC Day Aramark volunteers bring their collective energy, expertise, and time to enrich and nourish the lives of families and communities. Through MACC’s partnership with Aramark (a corporate partnership we engage in through the Alliance for Strong Families and Communities) MACC members were invited to apply to be one of the sites for an ABC Day project. Aramark selected Pillsbury United Communities’ Camden Neighborhood Center. On September 20th 100 Aramark employees will volunteer their time and energy at Camden. Volunteers will build raised garden beds, create a grilling area, and add picnic tables and seating – making the area more welcoming and accessible for all community members. They will also bring color and energy into the space by painting several large murals. To promote healthy eating and healthy choices Camden will be hosting a community demonstration by a chef and dietitian providing nutritional education - and lots of delicious samples! All materials are donated by Aramark. To learn more about Aramark’s Aramark Building Community program click here. The Next Step to Your Next Job program, in partnership with Aramark Building Community, is designed to give low-income, diverse youth participants the opportunity to hone their skills and better prepare for their ‘next step’ in seeking employment. Next Step is funded by a grant through Aramark and MACC helps facilitate the programming and coordinate with the members involved. The participating members work together to recruit the youth for the workshops and also to design the programming. The first day of the program Comedy Sportz Improv Theater led youth through a series of activities designed to help them understand the importance of creativity, fast thinking, active listening, and effective communication. Skills that are important not only in the workplace, but also in their day to day life. On day two youth were led through exercises by a facilitator from Youth Express to help them effectively communicate their strengths and talents. Youth talked freely about their goals and aspirations while building confidence in themselves and their skills. Engage you in open dialogue with peers and fellow community members to share perspectives, understanding, experiences and learning. Challenge you to explore how race, culture, privilege, and bias intersect to impact individuals, organizations, and communities. Empower you with the tools you need to take action and create tangible progress toward building equitable and inclusive people, organizations, and communities. If you’re interested in learning more fill out the form HERE and we’ll keep you in the loop with any updates as they happen! MACC’s Client Data team has partnered with EMERGE Community Development, The Family Partnership, and the Hennepin County Adult Corrections Facility (Workhouse) to support the work of EMERGE’s RESTORE program. Each organization plays a different role but all with the same goal: provide program participants the support and opportunities they need to re-enter the workforce and the community. The RESTORE program provides vital job training and work readiness skills to residents at the workhouse to help give them a head start once they’re released. Also at the workhouse residents begin participating in group sessions of Healing Generations, a program run by The Family Partnership. Once participants leave the workhouse – they can continue working with both organizations. However making sure participants stay connected with the programming they need can be challenging. That’s where MACC’s Client Data team comes in. MACC’s Client Data team partnered with each organization to use ClientTrack to remove some of the barriers to communication and collaboration. ClientTrack is enabling each organization to share client information directly without having to build dual databases or send massive reports back and forth. They’re able to use a shared infrastructure to stay better connected to each other and the clients themselves. “I don't have any answers. All we have is a series of questions, but we're asking them,” said Chanda Smith Baker, President and CEO of Pillsbury United Communities at Thursday evening’s special viewing of Guns in the Hands of Artists. Guns in the Hands of Artists is an art exhibit designed to provoke thought and discussion around the issue of guns in our society by bringing the conversation into the realm of art. MACC members were invited to view the exhibit and discuss what role nonprofits might play in protecting and healing our communities from the effects of gun violence. “I don't know of a human service organization that isn’t impacted. Whether they know it or not,” said Molly Greenman, President and CEO of The Family Partnership. Members shared experiences with violence in the community and the impact it’s had on them, their staff, and their organizations. Nonprofits see directly the effects of gun violence in the communities and clients they serve. Learn more about the exhibit which runs through June 19th at Public Functionary and is open and free to the public. Almost exactly one year ago MACC began a strategic planning process for our combined organization. Key stakeholders worked to uncover and bring together the best of MACC Alliance and the best of MACC Commonwealth to capitalize on our strengths as a merged organization. The result is a living framework that will provide the foundation for our work going forward. Through stakeholder and environmental analysis, and a series of insight sessions held with members, staff, and board leadership - we identified central values, built focus and clarity around our value proposition, and identified outcomes. From there, our planners integrated these concepts into a strategic framework that includes a mission, visionary proposition, and values. Our planners then focused on developing a core set of strategic focus areas, our pillars of success, which will ensure we successfully fulfill our mission. Our strategic framework is a living guide that will shape the work of our organization, board, and management. As we evolve as an organization our framework will drive us forward as we develop and advance strategies to deliver the outcomes we seek. We will update members at key milestones as we implement these strategies and monitor our progress on this new path. We're excited to welcome Tim Savaloja as the newest member of the MACC leadership team. Tim comes to us having most recently served as the CFO/COO of Keystone Community Services. Tim began his career in public accounting with a focus on nonprofit organizations and later served as CFO of Crown College. Tim has served on a number of nonprofit boards and audit committees and holds a BSBA degree from the University of North Dakota. Please join us in welcoming him! Leading our Finance Service, Tim will be charged with developing a strategic roadmap for the Finance Service and will begin engaging with members in the coming weeks in a listening tour designed to help him get to know each Finance member. “Underlying all the work that you do, diversity, inclusion, and racial awareness are key factors to your success.” Facilitator Bill Wells told senior leaders from MACC members. Bill led members in an Innovation Dialogue designed to spark courageous conversation about what equity and inclusion mean, and how our organizations can drive cultures that value all voices, and treat everyone with fairness, dignity and impartiality. Bill shared that while diversity, equity, and inclusion each have distinct meanings, they need to be operated together. In order to create a culture of inclusion – you need to embrace all three values. The impact of a culture that excludes people can have long term strategic implications. “If the culture’s not right, productivity goes down, and ultimately people leave” he said. In March the Northwest Area Foundation awarded MACC $500,000 to create and implement a Social Enterprise Development Network (SEDN). The goal of the SEDN is to pull together expertise, resources, and technical assistance to help our members take their social enterprise ventures and ideas to the next level. Building partnerships and enhancing networks in the social enterprise space: The SEDN will be working to build relationships between member organizations and with outside partners and the community. Inspiring new ideas in social enterprise: the SEDN will provide thought leadership in social enterprise and help foster creativity and innovation among our member organizations. Providing technical assistance and capacity building within member organizations. Developing common language and tools to focus our members' work on social enterprise. The MACC membership contains organizations with varying levels of experience with social enterprise. The goal of the SEDN is meet members where they are. The SEDN will work with and provide support for members who are doing work anywhere from incubating nascent enterprise projects all the way to those with existing, successful social enterprises who want to take their idea to the next level. Based on member input MACC launched an initiative last year to explore what it takes to build economic opportunity in our community using social enterprise. The leaders of our member organizations were focused on what strategies they could develop that would help build capacity within their organizations and communities. Through these conversations MACC identified social enterprise as a key area of potential learning and growth for our network. Stay tuned for updates as we continue to gather insights from members and begin our project work. Contact Darlynn Benjamin with any questions. On Friday morning, March 11th, Congressman Keith Ellison joined us at MACC for coffee and conversation. Congressman Ellison spoke about the challenges facing social service organizations in the current political environment. He spoke about the growing attitude that everyone is on their own, and government can’t do anything. He challenged this idea and asserted that we are stronger together. He spoke about how each member organization is different and plays a critical and individual role – but together supports the community as a whole. He spoke about how we’re at a pivotal moment in our national politics and that we’re seeing interesting changes unfolding in the political landscape as we approach the coming election. One of the key themes of Congressman Ellison's remarks was the importance of empowering people through voter registration and participation - how it’s critical to help constituents see themselves as agents of their own welfare. He spoke about the need to help people understand how it is they’re able to get the support they’re getting, and to turn service recipients into advocates for themselves and the people who help them. He emphasized the importance of getting people to the polls - “We can’t have anyone not voting," he said. Congressman Ellison also spent time answering questions directly from members. He spoke about the North Minneapolis Promise Zone. The Promise Zone designation gives North Minneapolis, and organizations serving residents of North Minneapolis a competitive advantage when applying for federal grants. He spoke about the importance of making the most of the opportunity by applying for grants. “We can’t be a promise zone recipient and not maximize it,” he commented. Congressman Ellison discussed the challenges of immigrants, refugees, and the organizations supporting them. He spoke about how the challenges faced by immigrants and refugees are multifaceted and acknowledged that there can be gaps in the funding to support the programs people need. Congressman Ellison discussed the rising tide of Islamophobia and the impact on our communities, families, and youth. He spoke about the fact that while hate crimes overall have fallen, in the past years hate crimes against Muslims have increased – the only group to see an increase. He spoke about the importance of continuing to talk about this issue and the need for everyone to speak up and be part of the solution. “We’ve seen this ugly thing happen – it can never happen again” Congressman Ellison said. The morning was a great opportunity to hear directly from and speak directly with one of our Representatives. Many thanks to Congressman Ellison for taking the time to speak with us. Check out Keith Ellison's Podcast - "We the Podcast"
Nationally, fewer than 20% of nonprofit leaders are people of color. It is critical that nonprofit leadership be representative of the communities being served. The Minnesota Council of Nonprofits (MCN) recently launched the Partners in Community program to foster equitable access to professional development and help build a diverse group of leaders inside the nonprofit sector. MACC is proud to be a partner in this program and excited to offer this opportunity to our members. Through this program MACC is able to offer emerging leaders of color within the MACC membership access to discounted registrations for MCN conferences. The first chance to take advantage of this program is the upcoming Technology & Communications conference on April 12. Apply Now to Attend the MCN Technology & Communications Conference - for only $20! MACC is able to offer five deeply discounted registrations ($20, compared to around $200 for regular registration) to our members to this upcoming conference. If you are interested in attending, please submit a quick application by Friday, March 25. There will be additional opportunities in 2016 to apply for the program - watch for additional announcements! We're excited to announce a major renovation of the MACC IT services. What's in store? For over ten years, MACC has provided IT services for several members including services such as end user support, hardware, connectivity and phones - all done through an external managed service provider. Over the course of 2015, MACC's IT members embarked on an ambitious project to refresh the MACC IT service model. After such a long partnership with one vendor- it was time to take a look at how to bring members into the future. A cohort of IT members, MACC leadership and consultants convened and developed a strategy centered around members' critical IT needs and MACC's future role in helping members with their IT strategy. A major outcome of the project was to complete an RFP process, leveraging our scale and buying power to choose the right IT vendor to take MACC members into the future. IT members selected the firm Virteva to be our managed service provider because of their focus on end user computing support. Another major outcome of the project was to assess the feasibility of hiring an internal leader to MACC's IT strategy and vendor management. MACC members felt it was essential for us to invest in our own leadership rather than rely too heavily on an IT vendor for proactive IT strategy development. In late 2015, MACC conducted a search and hired Pete Czachor who brings strong skills and experience to the role. Pete owned and operated his own Managed IT Services firm for six years and has served in several roles with deep business process design responsibilities. Most recently, Pete served as Director of Technology Consulting at Warner Connect, working closely with MACC and its IT Services members and gaining a deep understanding of our IT environment and needs. We're excited to welcome Pete to the MACC team. Over the next several months, MACC IT members will undergo a transition to the new IT platform in phases - this transformation is not a small undertaking but will bring MACC's members into a lighter, cloud-based infrastructure that will allow more flexibility and collaboration tools and infrastructure. We’re excited about what comes next! In January, MACC members gathered for our annual member meeting and celebration. The event was an opportunity to reconnectwith MACC colleagues, celebrate our networks' accomplishments, eat some great food, and tour Ghandi Mahal's sustainable food aquaponics system. Banyan Community joins MACC in December jumping into Client Data services. More about Banyan from their website: " Banyan Community is a Christian Community Development Organization that builds relationships and transforms the lives of both youth and adults living in Phillips neighborhood of South Minneapolis. Banyan's programming focuses on youth development, strengthening families, and building connections within the community. Ignite Afterschool joins us in January as a newly formalized 501c3 organization having been fiscally sponsored by MACC member Youthprise. Ignite's employees have been supported by our HR team for some time under Youthprise. More about Ignite from their website: "Ignite Afterschool is Minnesota's Afterschool Network- working collectively to ensure every community and every youth has access to high-quality afterschool opportunities." 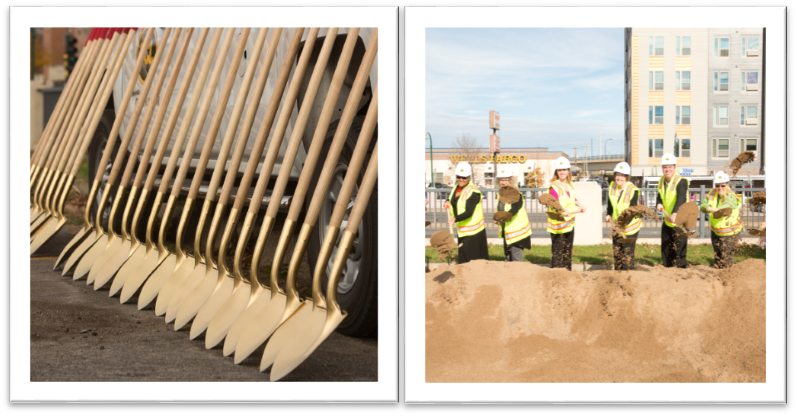 This Fall, MACC staff and members were invited to be a part of the ceremonial groundbreaking of Hennepin County's newest human service center. The south Minneapolis human service center is the sixth in a series of projects that decentralize services beyond downtown Minneapolis, making access to county resources more convenient for residents by locating them in areas where they live, work and attend school. MACC’s Service Network provides drop-in childcare at the existing human service locations and will be expanding operations to include the new south Minneapolis site. Current members participating in the MACC Service Network Childcare Collaborative are Eastside Neighborhood Services, Phyllis Wheatley Community Center, and The Family Partnership. The development also encompasses a transit plaza, more than 500 residences, retail space, parking, and a public gathering space that will serve as a permanent home for the Midtown Farmers Market. In Fall of 2015, MACC convened a forum on social enterprise- including members and nonmembers interested in exploring the potential of social enterprises to create financial sustainability for nonprofit organizations and economic opportunity for those we serve. Over the last year or so, MACC has heard from members and others in the community that there is a growing interest in developing these types of ventures. This convening brought together thought leaders from our community to help advance the best practices and knowledge in social enterprise. Attendees learned about the nuts and bolts of social enterprise and learned about the key differences and lessons learned in both commercial nonprofit social enterprise and social enterprise business. As a follow up to the event, MACC continues it's work to identify strategies to potentially provide support, learning, and technical assistance to our members and their enterprise initiatives. Stay tuned for our next steps! Darlynn Benjamin joined the MACC staff in February of 2015 as our new Vice President of Service Network Innovations and Collaboration. We asked her to share a few reflections on her time with MACC thus far. You've been on a listening tour of MACC members during your first few months on the job. How would you characterize the power of the MACC membership? "The MACC membership is a powerful association of organizations that individually are doing incredible work, but collectively through the MACC, they can have a more powerful voice and impact in community. Our membership is powerful in action and in its diversity. By working together, we can reduce the number of people living in poverty, elevate the number of people living safe and healthy lives, and place more people on the pathway for success in attaining education and employment. Our membership is deeply committed to working together to enhance the lives of children, adults and families." What have you heard from members about what they value in their MACC membership experience? "Members place a high value on the networking opportunities- the ability to meet with peers to amplify knowledge, expertise and share innovative ideas. While members have shared that the quality of services and programs have been incredibly valuable and have helped their organization a great deal, there is a real need for MACC to provide more resources and opportunities for its membership." What has resonated most with you in your conversations with members so far? "There has been incredible growth and momentum without intentionally marketing the benefits of MACC membership. I believe we're thriving largely because we're offering what is needed by small to mid-sized nonprofits. As we build out our merged organization's programs and services, we'll need to remain committed to enriching the member experience and always checking in with members to ensure that we are providing value." We're excited by the work ahead and for Darlynn's role in connecting members with one another and supporting collaboration. This summer, we are excited to welcome two new members to the MACC network- Battered Women's Legal Advocacy Project and House of Charity. BWLAP has joined MACC as a member jumping quickly into our finance services and with a strong interest in building relationships outside of the domestic violence network. More about BWLAP from their website: "BWLAP is a state-wide program that serves battered women, their advocates, attorneys and the general public in Minnesota. BWLAP provides legal information, consultation, state-wide training, litigation support, technical assistance and develops model policy for domestic violence programs around confidentiality, record keeping, conflict of interest and children's records, to name a few." House of Charity joins MACC and is kicking off their membership by getting started with our Behavioral Health Billing service. As MACC's longtime neighbor downtown, located just down the block, we're looking forward to building strong ties within the membership. From their website: "One of our primary goals is to help struggling individuals meet their basic human needs of food and shelter while reducing barriers to their long-term self-sufficiency. Their facility currently houses 116 men and women who have experienced homelessness. Additionally, they operate a food center which feeds more than 350 people each day. Our Affinity Teams gather to share best practices, share training, ideas and resources- these are networking groups with intentionality. Our Food Shelf Affinity Team is an opportunity for our members that have food shelves to gather and think about the ways they can work together and learn from one another. 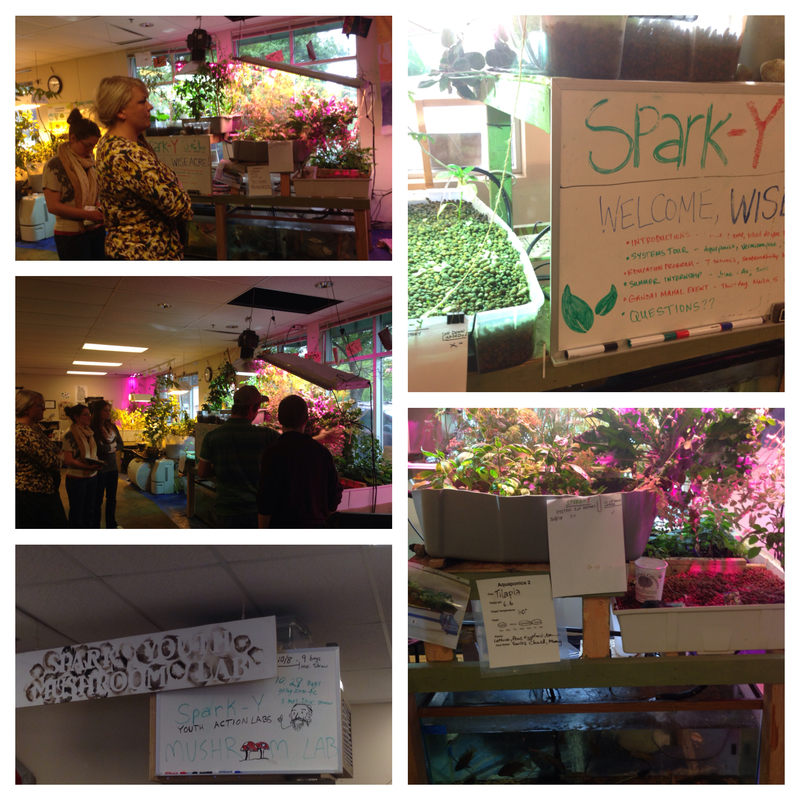 In May, the MACC Food Shelf Affinity Team visited with sustainable food social enterprise Spark-Y Youth Action Labs. Representatives from members The Food Group, East Side Neighborhood Services, Pillsbury United Brian Coyle Center, PRISM and a guest from Neighbors Inc. all gathered to hear from Spark-Y Executive Director Zachary Robinson. Zach gave the group a tour of their Sustainable Education Lab and talked about their work to engage youth through education on sustainable food production techniques. A dialogue followed- members talked about the ways that our food shelves could incorporate sustainable food production practices into our work and potentially partner with Spark-Y. This spring, we are excited to welcome two new members to the MACC network- Community Emergency Service and Ujamaa Place. 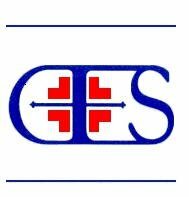 Community Emergency Service (CES) has already jumped into the network and has been participating in both our food shelf and senior affinity teams. For CES, joining MACC represents a commitment the staff and board have made to building new networks and partnerships for the organization. We’re excited to have them stepping in so quickly into the affinity teams! 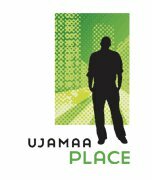 Ujamaa Place has joined MACC as a member jumping quickly into an implementation of the Client Data services within their programs. We are particularly excited to begin to connect them with our members doing economic opportunity work across the network. More about Ujamaa (from their website): "The mission of Ujamaa Place is to assist young African American men primarily between the ages of 18 and 30, who have experienced life challenges… programming is made available at no direct cost to participants, but it is a program that demands mutual accountability. It helps men develop the skills it takes to be a successful individual, father, employee, and citizen." 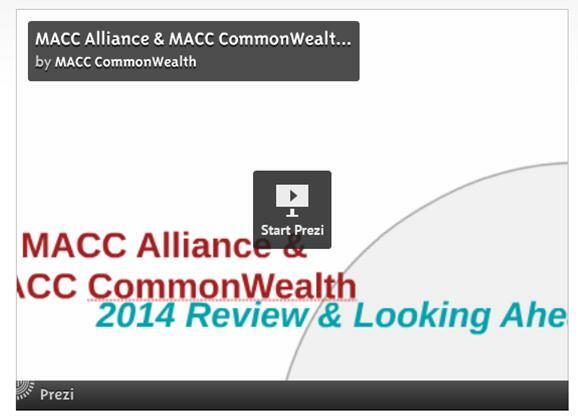 It's been a big year for MACC Alliance and MACC CommonWealth. Having announced a merger this spring, a lot of work has been done to prepare for 2015. At our recent Annual Member Meeting and Merger Celebration, members got a look at all of the accomplishments of 2014 as well as a sneak peak at what's ahead for our merged organization in 2015. We're excited by the power and potential of the new organization- bringing together the best of MACC Alliance and the best of MACC CommonWealth for a greater community impact. On June 19, 2014 the Boards of Directors of the Metropolitan Alliance of Connected Communities and its subsidiary, MACC CommonWealth Services, Inc. announced that the organizations will merge into a single entity, effective January 1, 2015. The combined nonprofit entity will be a membership organization whose purpose will be to provide quality services, collaborative programs, and powerful connections for its member organizations, that empower them to excel in helping communities, families, and individuals thrive. As part of this merger, a new VP will be brought on board to inspire innovation in the delivery of high quality services and best practices among the diverse membership of the MACC Alliance. The VP works with members to develop effective strategies to further impact in community, and uses the power of the membership to bring networked solutions to issues and opportunities. As a result of this position’s efforts, a growing number of collaborations and cross-sector partnerships will be developed, and MACC Alliance’s visibility will be greatly enhanced throughout the nonprofit, public, private and philanthropic sectors. The VP - Service Network Innovations and Collaboration serves as a member of the Senior Management Team and collaborates closely with the VP’s overseeing all other areas of the organization. While the position posting has closed, please watch for updates from us regarding this exciting are of work. As we make investments into the strategies of the merged organization, we're excited about the power and potential of the opportunities in front of us- please stay tuned! MCW conducted a thorough search for this position, with nearly 30 qualified candidates submitting applications. Following an extensive review process and multiple rounds of interviews, the final decision was made by a Committee consisting of member CEOs and representatives from MCW’s Senior Management Team. David brings a great mix of skills and experience for the role, having served for nearly 30 years in Finance and Accounting roles in outstanding corporations including Cargill, Johnson Controls, and Amoco. Since 2010 David has done consulting work as interim CFO in several organizations, and most recently served as interim VP-Finance at Goodwill Easter Seals of MN. David is a certified Six Sigma (process improvement) black belt. He is active in the Nonprofit Financial Group of the Twin Cities, and currently serves as Board Treasurer of Mastery Charter Schools. He is also active in the African American Leadership Forum. David holds an MBA in Finance and Statistics from the University of Chicago, and a BS in Accounting from DePaul University. He is also a part-time Associate Professor of Finance, Economics, and Accounting at University of Phoenix (Twin Cities campus) since 2007. Please join us in welcoming David to the team! Growth, merger, new connections & enhanced services! Read about how we are working to improve services for our members. 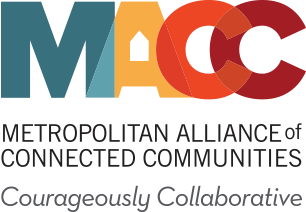 The Boards of Directors of the Metropolitan Alliance of Connected Communities (“MACC Alliance”) and its subsidiary, MACC CommonWealth Services, Inc. (“MCW”) have announced that the organizations will merge into a single entity, effective January 1, 2015. The combined nonprofit entity will be a membership organization whose purpose will be to provide quality services, collaborative programs, and powerful connections for its member organizations, that empower them to excel in helping communities, families, and individuals thrive. “MCW was founded as an initiative of MACC Alliance, as a separate organization with its own board and operating structure. 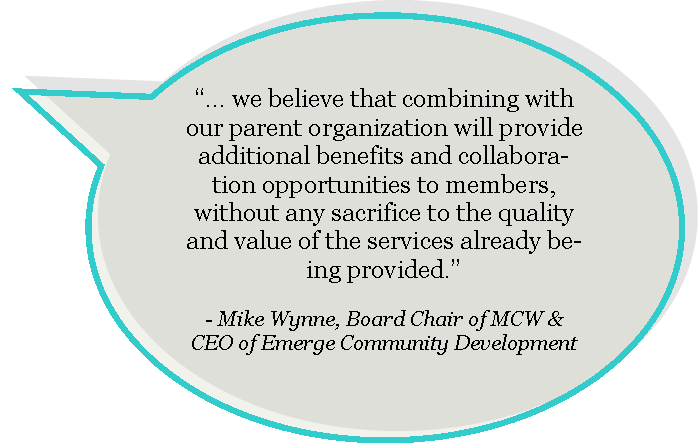 While MCW has been effective operating separately, we believe that combining with our parent organization will provide additional benefits and collaboration opportunities to members, without any sacrifice to the quality and value of the services already being provided”, said Mike Wynne, Board Chair of MCW and CEO of Emerge Community Development. “While both organizations operating separately have provided valuable collaboration opportunities and services to their respective members, we believe that combining the organizations into a single entity will create synergies, streamline approaches, and enable members to connect more easily to opportunities for collaboration”, said Chanda Smith Baker, Board Chair of MACC Alliance and CEO of Pillsbury United Communities. A joint leadership team with representatives from both organizations will work together over the next several months to prepare the legal and financial components necessary to merge, refine the future business model, and complete strategic planning for the combined entity. The name of the new organization will be announced later this year. Steve Houtz, President and CEO of MACC CommonWealth, will serve in the same role for the combined organization. Yvonne Olsen, Executive Coordinator of MACC Alliance, will serve as Senior Vice President. About MACC Alliance: Founded in 1999, MACC Alliance is a 501(c)(3) organization that facilitates joint program development, fundraising in support of joint programs, training, affinity groups, and other forms of collaboration to its 39 members. About MCW: Founded in 2006, MACC CommonWealth Services, Inc. is a 501(c)(3) organization whose purpose is to provide back-office management services to members of the MACC Alliance. 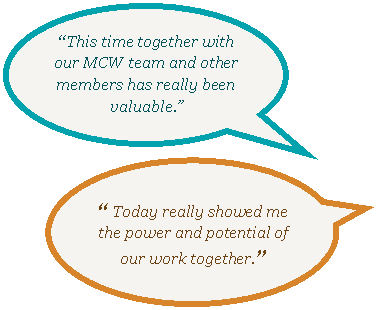 Since its inception, MCW has grown to nearly $4M in annual revenue supporting 34 members with an array of management functions including Finance, HR, IT, Behavioral Health Billing, Facilities, Client Data, and others. We are pleased to announce that Karl R. Starr has accepted the position of Vice President – Human Resources Services at MACC CommonWealth. Karl brings a great mix of skills and experience for the role, having served for 25 years at Thrivent Financial in a variety of human resources-related roles, ultimately serving as Director, Human Resources Services from 2004-2006. Since that time, Karl has been working in a consulting capacity for several organizations, in areas including information technology, business process improvement, organizational change management, and communications. Karl holds a Bachelor of Arts degree with majors in Mathematics and Religion, from St. Olaf College. 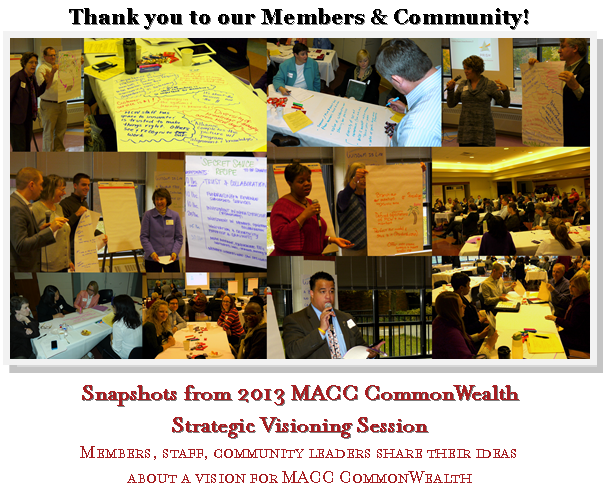 During the fall of 2013, MACC CommonWealth’s Strategic Planning Committee has been hard at work developing an engaging process for creating a new strategic plan. Outreach to MACC CommonWealth members, partners, and community leaders has begun, building energy for what will be our second strategic plan since our founding. 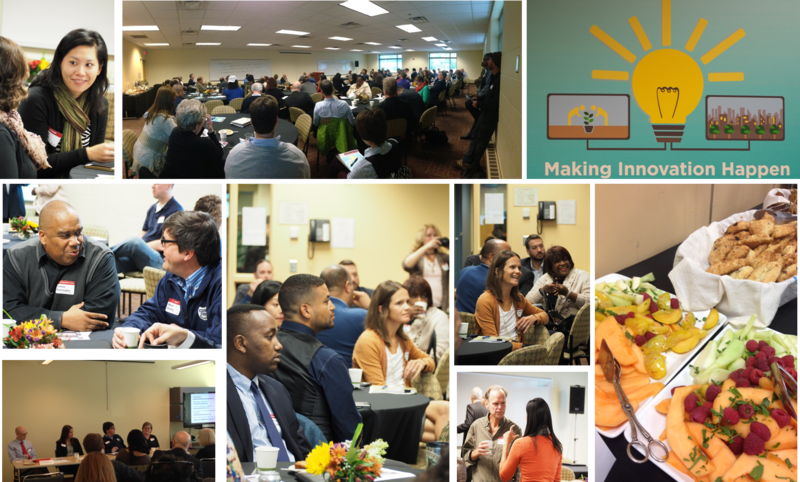 In October, over seventy members, staff, partners and community leaders gathered at Hallie Q. Brown Community Center for a strategic visioning session. and we began to investigate what MACC CommonWealth is being called to become. Thank you to all that invested time into this work session with us! We heard from participants that the time was incredibly valuable to connect with other members and to see the power and potential of our work together. MACC CommonWealth is incredibly grateful to all those that participated! As MACC CommonWealth works to co-create a compelling vision for our next chapter, we’ll be working to connect with our stakeholders and keep you a part of this process. Watch for more updates and outreach from us in the coming months! 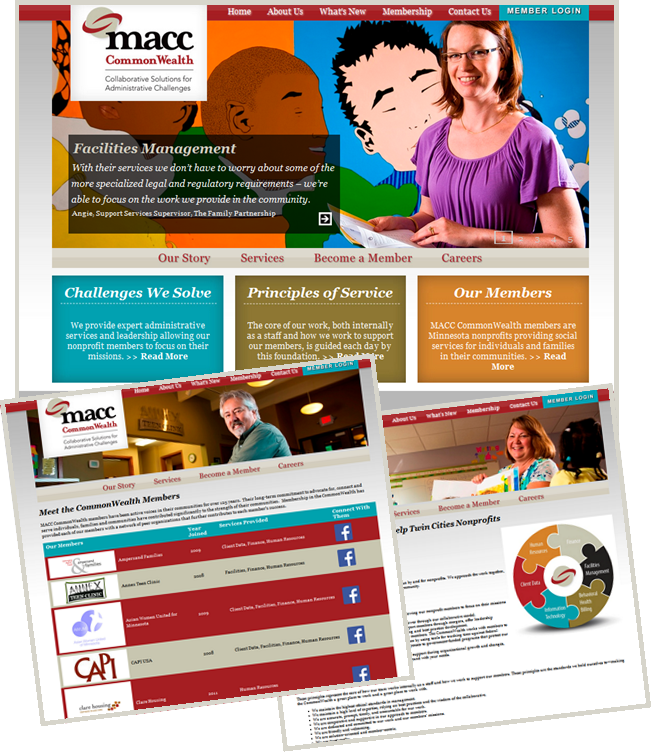 If you’ve visited the MACC CommonWealth website over the past few days, you’ve noticed some changes. At the end of September we quietly launched a newly designed website, and after spending a few days testing functionality and navigation we are excited to share it with our members and the general public. If you look closely, you will likely see some familiar faces and recognize some names throughout the site. We are grateful for the many members who supported this process by contributing testimonials, sharing their first-hand experiences with our services and staff. These testimonials are a vital endorsement to others looking for collaborative management services, considering CommonWealth membership and learning what you already know – we are better together! You will see some of those testimonials here on the website either on pages or in information sheets and FAQ documents for each of the service areas. 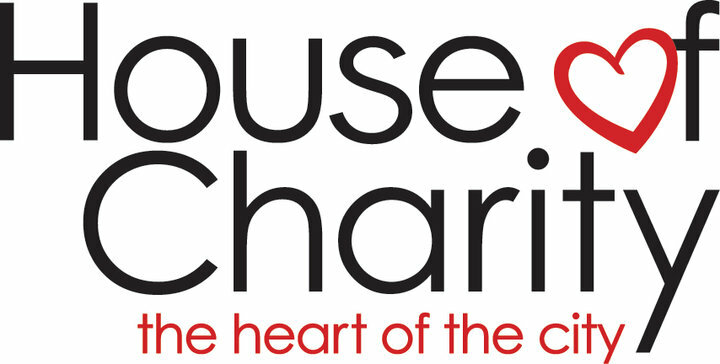 A design showcasing the refreshed logo and branding introduced in late 2012. Within the Contact Us content section you will find easy to use inquiry forms for current members in need of support with a service line and also for non-members requesting information about services. The launch of this new site is an important milestone as we continue to identify ways to better support current members, as well as provide a better experience for nonprofits looking for collaborative management services. We hope you find this website to be informative and easy to navigate. Contact Trisha at trisha.reinwald@mcwmn.org with your comments or information requests. As we developed the concept for our new website, one thing became clear. We wanted to showcase our members in their element, with their missions in mind. We spend many weeks this summer having conversations with members about their experience with CommonWealth services. We’re grateful for the many members that contributed quotes and testimonials for our website and marketing materials. A few members were gracious enough to devote time and participate in photo shoots allowing us to use their images throughout the site. This important element helps communicate that we understand our greatest impact is providing you services that allow you to focus on your missions. The collage of photos you see here is a behind the scenes look at those photo shoots. A big thank you goes out to our members for helping to make this happen! So what has MACC CommonWealth been up to this past year? Growth, strategic plan implementation, new member resources and a new president! Check our our Report to Members for details on our collaborative accomplishments. MACC CommonWealth Human Resources is helping members prepare for the next mandates, which begin January 1, 2014. Our HR team will support member clients by preparing a Health Care Reform "packet" for leadership of participating member organizations including detailed information on how the mandates will impact each organization specifically. On January 28, 2013, the CommonWealth welcomed Steve Houtz as its new President and CEO. Steve’s prior experience includes leadership roles at Thrivent Financial and Accenture, and he has served on the Board of Directors for CommonWealth members Pillsbury United Communities and CEAP. Did you know that Minnesota is the first state to “Ban the Box,” which narrows employer liability for criminal records when hiring? Many nonprofits in our community, including CommonWealth member Emerge Community Development, have been leading the way to prevent discrimination in hiring. The legislation passed back in 2009 in large part due to the grassroots organizing efforts of the Second Chance Coalition, a diverse coalition of twenty-four community organizations. CommonWealth has and will continue to work with our members to ensure we lead the way in implementing best practices that go above and beyond to prevent discrimination in hiring.